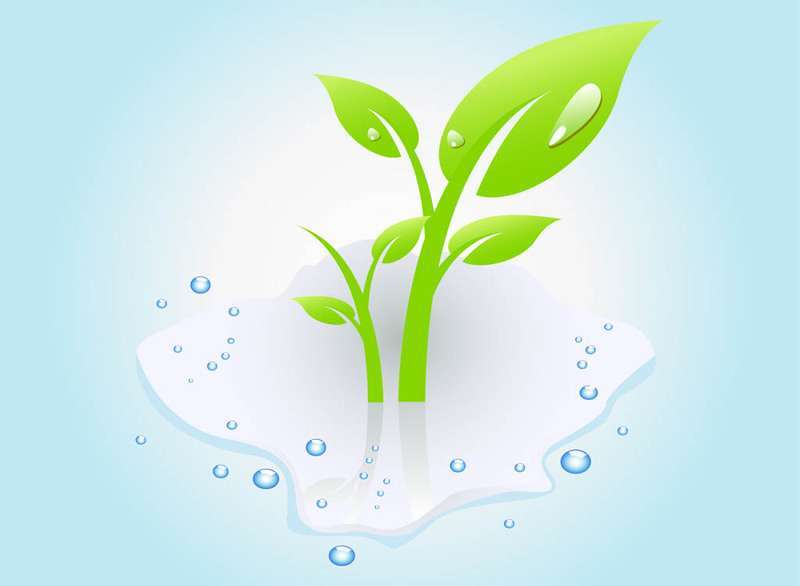 Nature and ecology vector footage of a fresh plant in a puddle of water. Wet plant with leaves with different sizes and big glossy water drops on them. Free vector image for nature, plants, flora, rain, water, dew and ecology designs. Plant layout for posters, flyers and adverts visuals. Tags: Drops, Eco, Leaves, Rain, Spring, Stems, Water, Wet.